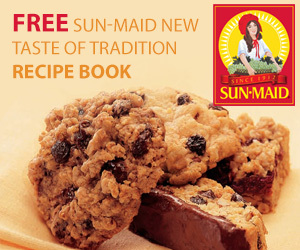 Get a fresh take on traditional recipes thanks to this free Sun-Maid recipe book. Enjoy everything from Raisin Bran Muffins to Easy Cinnamon-Raising Rolls with this printable recipe book. Which recipe will you try first?